This is the fifth entry of a multi-part series by our student blogger Giselle. 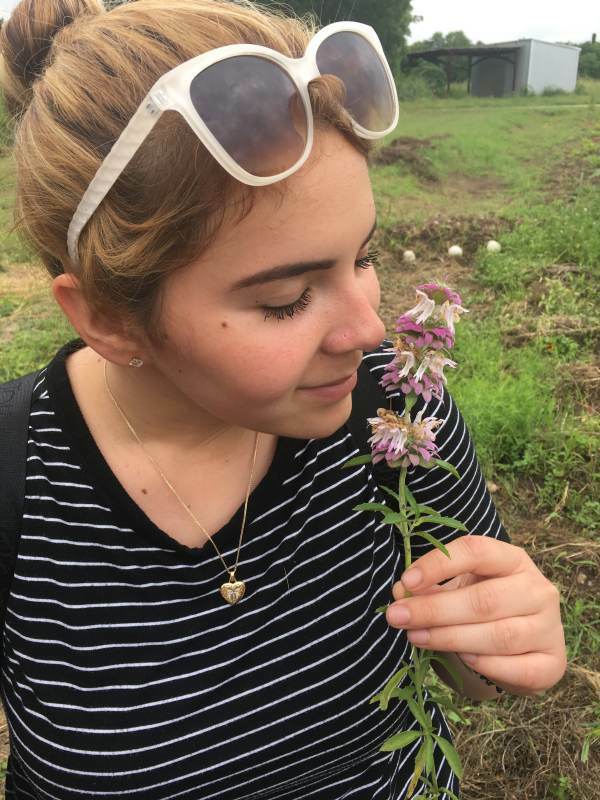 Check back each week for the next installment of her experience during her semester away in San Antonio. Hello friends; I hope everyone is doing well! The past few weeks in San Antonio have been very rainy, but the sun finally decided to come out, so I’ve been taking advantage of that! Let’s see what my classmates and I have been up to during our fifth week in the Latin concentration. 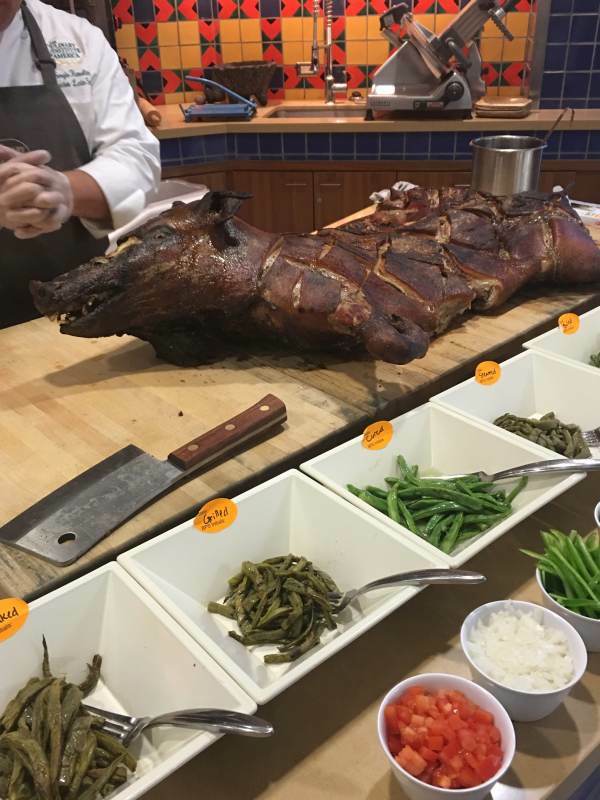 We roasted a whole pig! What an experience. This was a continuation of outdoor cooking techniques. 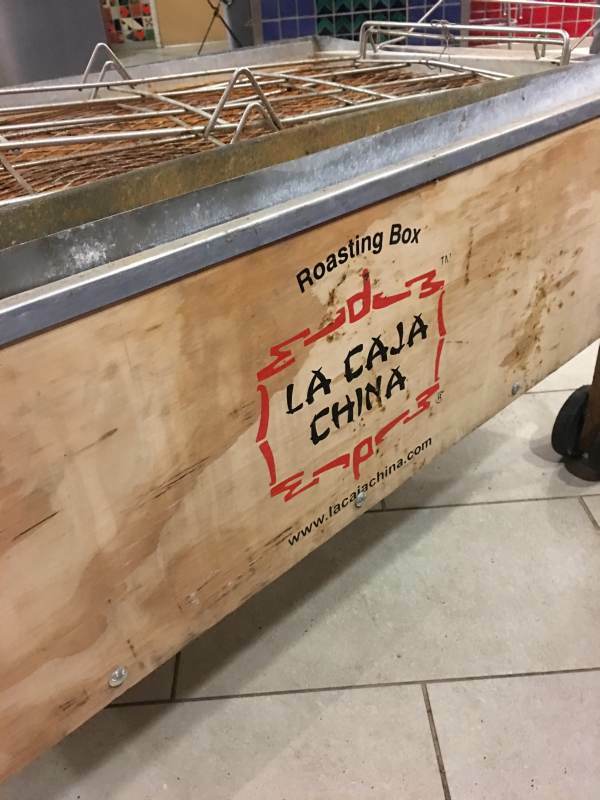 It was great be-cause we cooked a pig inside a caja china—a wooden box used to roast whole pork with char-coal and used a lot in Cuban cooking. 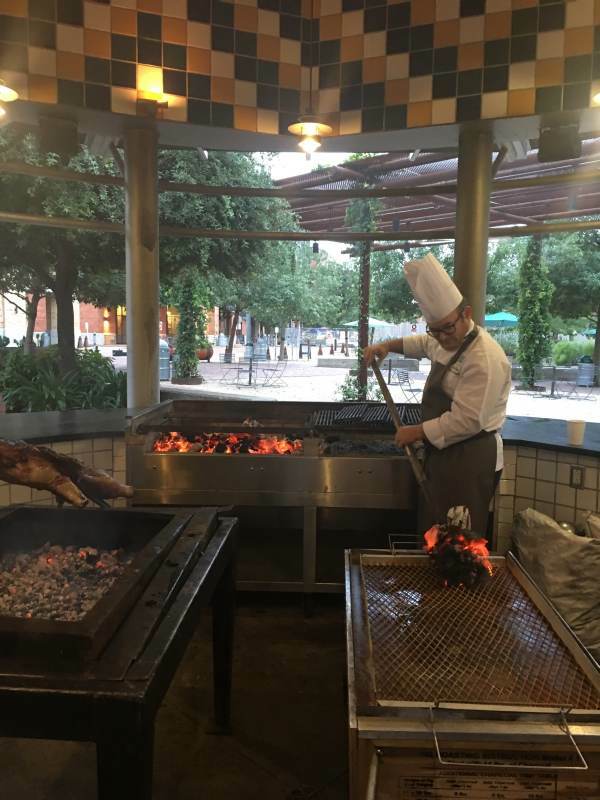 The technique is similar to the cabrito we cooked last week in that it requires a lot of care and attention to the heat and the amount of charcoal you use. But nonetheless, the babysitting and waiting was all worth it when we finally got to try the succu-lent and flavorful pork. We marinated it in onion, garlic, and rosemary the day before, and those flavors really came out the next day when we roasted it. So delicious! One of the things that surprised me about this day was a cooking technique we were introduced to called rescoldo. This word translates to ash or embers in Spanish, and it involves cooking on top of ashes. We used the residual heat from the coals that the pork was cooking under and cooked a variety of fresh vegetables. The amount of flavors they gained from cooking on top of the ashes was unbelievable. Simply cooked with a little bit of salt, then dressed with lime and olive oil, the vegetables were perfectly cooked and well-seasoned. 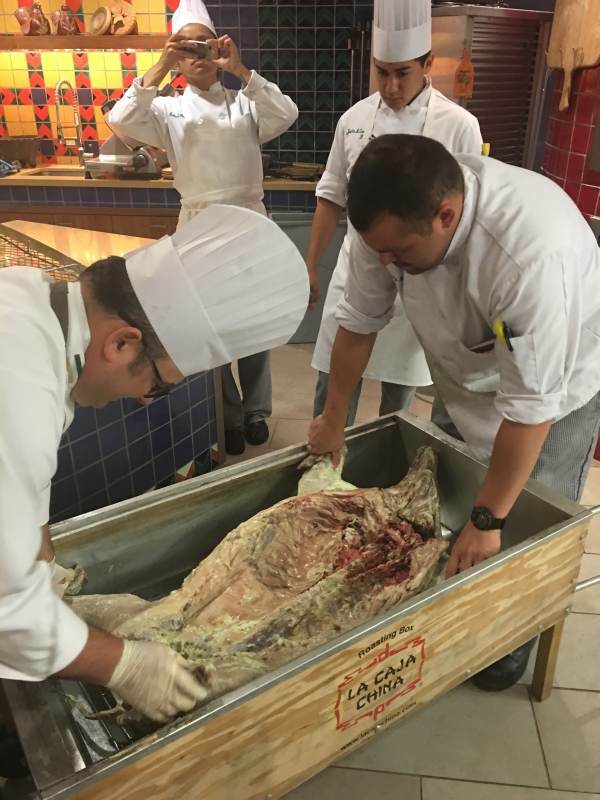 My classmate, Greg, helping Chef Remolina place the pork inside the caja china. 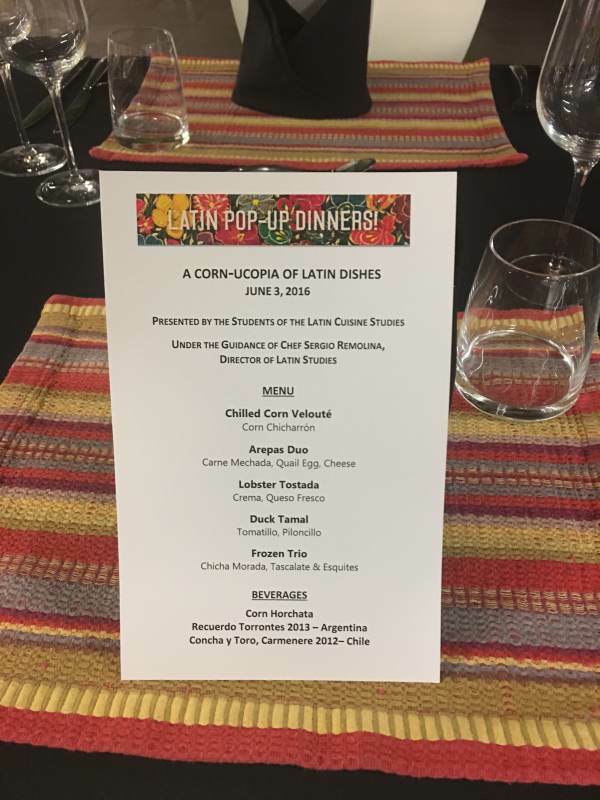 Our Very First Latin Pop-up Dinner…What??? Yes, you heard that right. 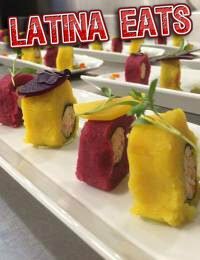 The Latin concentration allows us to plan and host four of our very own pop-up dinners for 16 guests each. This week was our first dinner, and the tickets were sold out almost immediately! This is what you call a once-in-a-lifetime experience. 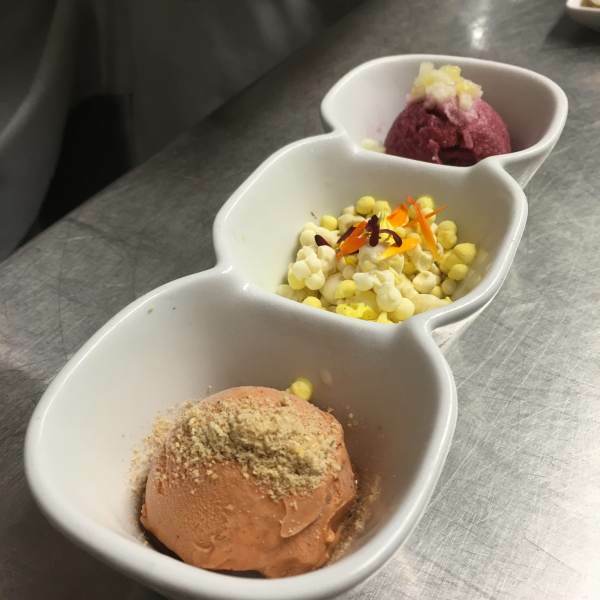 With Chef Remolina’s guidance, we created a menu that would reflect the many ways to use corn in food. 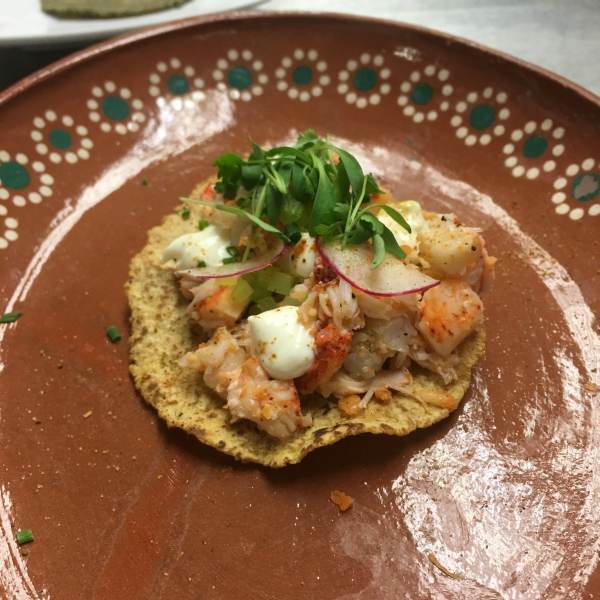 From the menu to smaller details like dishes and glassware, we all had a say in what the diners’ experience was going to be like. Our first pop-up this week was very memorable because of the level of involvement it demanded from the five of us in the class. It took a lot of planning and organization, but it was rewarding to see the guests enjoy their experience. One of the guests we had for the pop-up dinner was a top food and lifestyle blogger named Car-ly. She runs a blog called Soul Flutter which covers everything from the food scene in San An-tonio to fashion and beauty tips! She was so sweet, and she is actually going to be posting about her experience at our dinner! 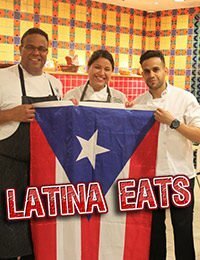 I’ll definitely be checking out her blog to see where to eat around the San Antonio area. I can’t wait to show y’all what we’re planning for our next dinner. It has a very cool theme, and who knows… there might be a very special guest joining us! This week we got to visit Mission San Juan. 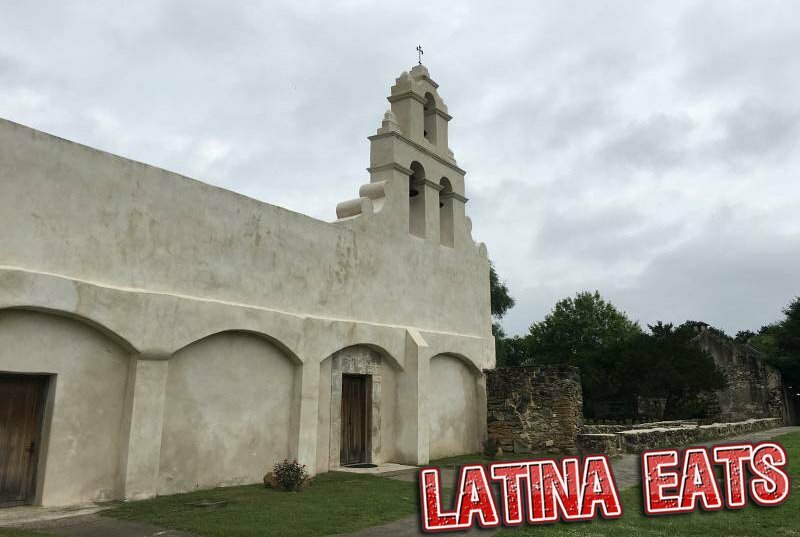 Established in 1731 by Spanish conquistadors, it’s both a national park and one of several missions in San Antonio. 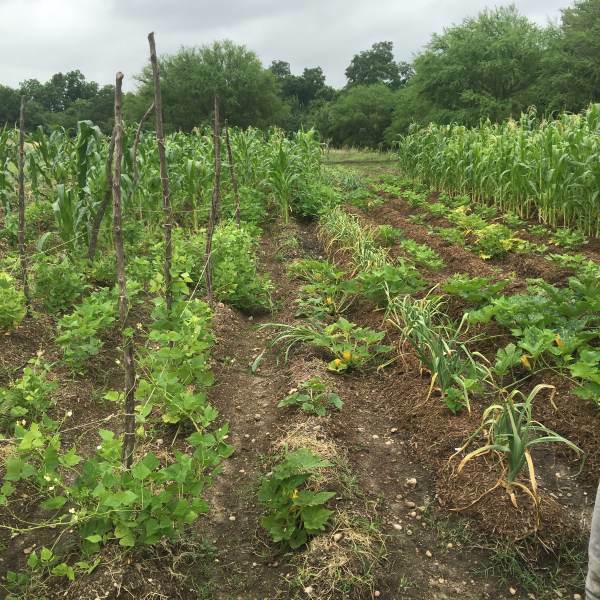 This was a really fun time because, in addition to the historical information we gained, we also got to see that the mission has started a farm on site. 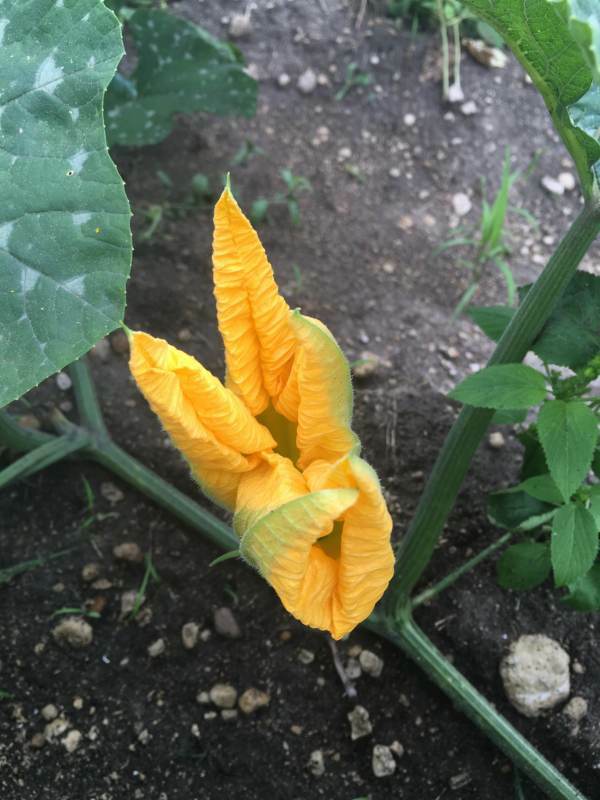 The food that the farm produces is being donated to a local food bank. It’s so nice to see that people are supporting their local community here! 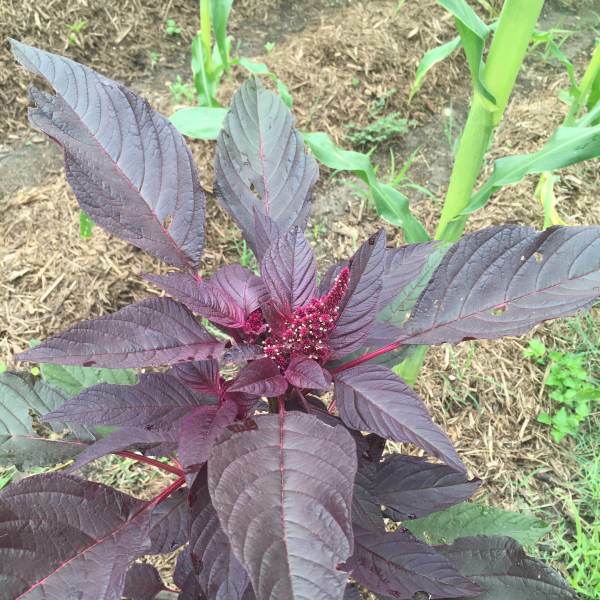 While walking around the farm, we saw some amazing food being grown, including ancient spe-cies of squash, huitlacoche, and one of the staple crops of pre-Hispanic America, amaranth. We really enjoyed exploring the site, seeing ancient irrigation systems still being used, and learning about the many fruits and vegetables being harvested there. This week was very special for my classmates and me. It was full of firsts: the first time cooking a whole pig and the first time hosting our very own pop-up dinner. The Latin concentration con-tinues to impress all of us, and we can’t wait to see what’s in store during the next few weeks here in San Antonio! 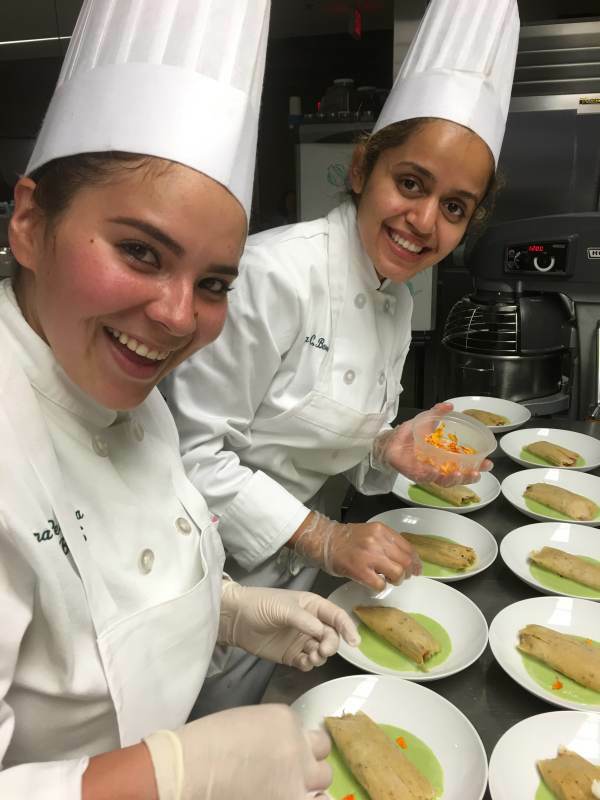 Hello everyone, my name is Giselle Sigala and I am currently a seventh-semester bachelor’s student at The Culinary Institute of America. 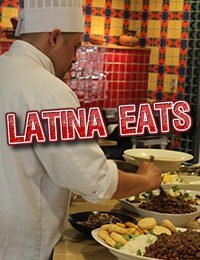 I’m honored and excited to be the student blogger for the Latin Cuisine Concentration at the San Antonio, TX campus! I was born in Long Beach, CA and was raised in Fort Worth, TX since the age of 3. (So I’m a Texan at heart…Go TCU!) My parents are both immigrants from Zacatecas, Mexico, so my siblings and I are the first generation in our family to study in the United States. Since I can remember, I have always had a fascination with cooking and anything food related. As a child, instead of playing with dolls I was begging my mother for an Easy-Bake oven. (Which I found is a common memory with a lot of CIA students. Right? No? Ok fine, I guess it was just me! Haha.) 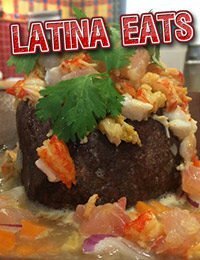 My fondest memories as a child are set in the kitchen, from helping my mom flip tortillas—I remember always burning the tips of my fingers—to the simple smell of charcoal burning on a Sunday afternoon, because this meant a carne asada was in the works…which also meant we were going to eat some great food! Yum! A major factor that played into my decision to come to The Culinary Institute of America was the large success of my parents’ carnicerias (a Mexican meat market that sells a variety of produce and delicious baked goods). 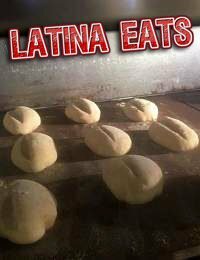 By spending most of my childhood in the carniceria’s kitchen and bakery, I quickly realized that I had a passion for Latin American cuisine. With time, I knew that there was nothing I’d rather do than to make people happy by cooking for them. Knowing this about myself helped me make my decision about coming to the CIA. And honestly, this place has given me countless amazing opportunities and experiences. 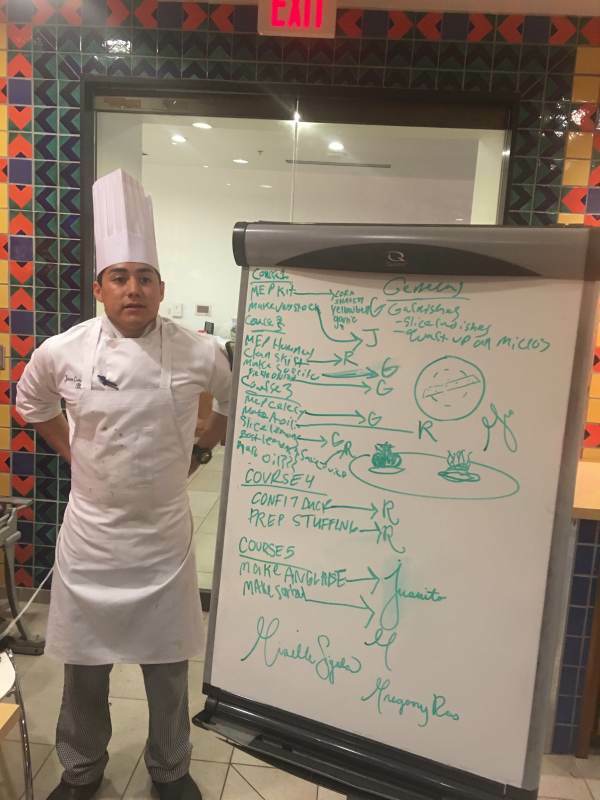 The CIA has helped me pursue my dream of working in some of the best kitchens around the world, cooking Latin food, and potentially opening up my own business in the future.I couldn't imagine going anywhere else to pursue these aspirations. It is truly an amazing program that is always evolving and striving to be the best it can be. As a CIA alum, I couldn't be happier to have chosen to pursue my career goals here. Since my graduation from the associate program in June 2015, I have come to admire and appreciate different cuisines and cultures from all over the globe. From the Cuisines of the Americas class I took to the Cuisines of Asia course, this school has taught me that I can learn so much from a culture by simply learning about their food.With that, I am excited to start my semester studying the vibrant food of Latin America at the beautiful CIA San Antonio in Texas. The campus looks amazing, and I can’t wait to write about my experiences! 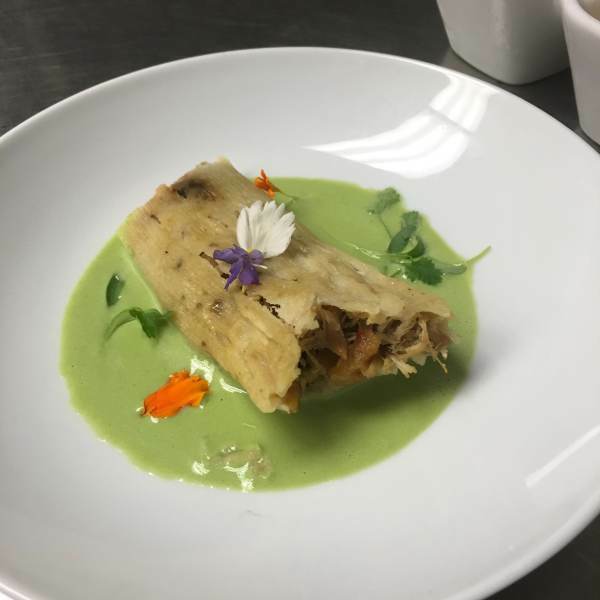 I invite you to check out my blog as I cook some delicious food, explore an exciting city, and learn from some of the best-trained chefs in the industry!